The Leader Guide includes the Facilitator's guide, all six lessons from the participant's Study Guide, and an Answer Key for the Questions for Understanding. The Facilitator's Guide details how to plan, promote, and present the study. 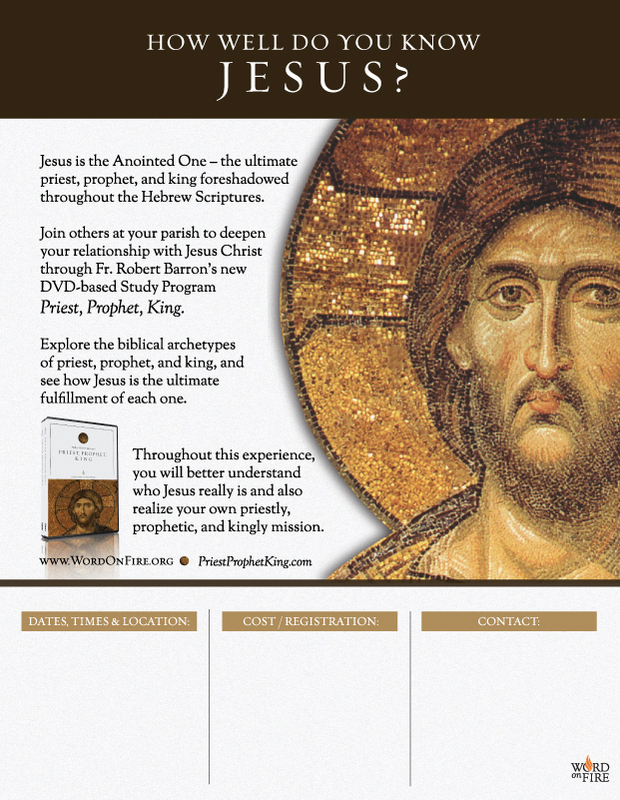 Who was Jesus, this itinerant preacher whom many called the Messiah? 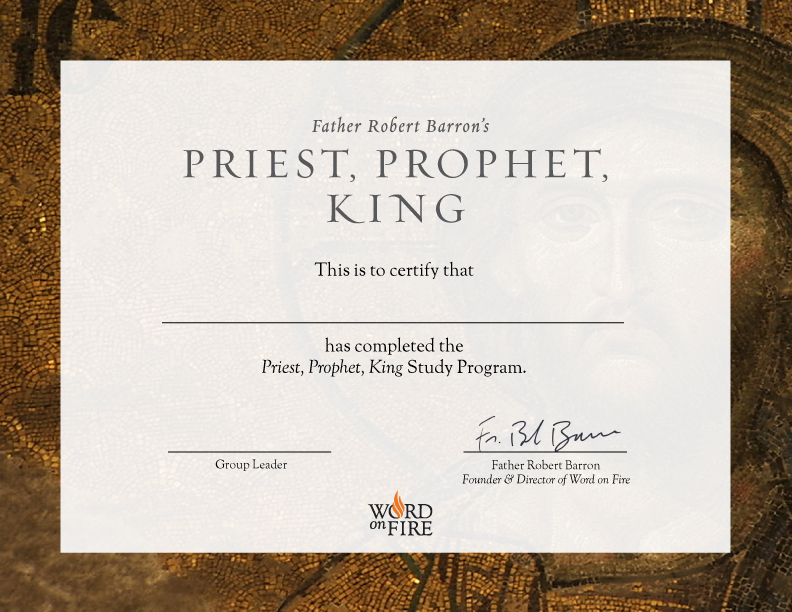 In Priest, Prophet, King, you’ll discover Jesus as the Anointed One; the ultimate priest, prophet, and king foreshadowed throughout the Hebrew Scriptures. Using biblical insights and engaging stories, Bishop Barron affirms that we see Jesus most clearly through the lens of the Old Testament. 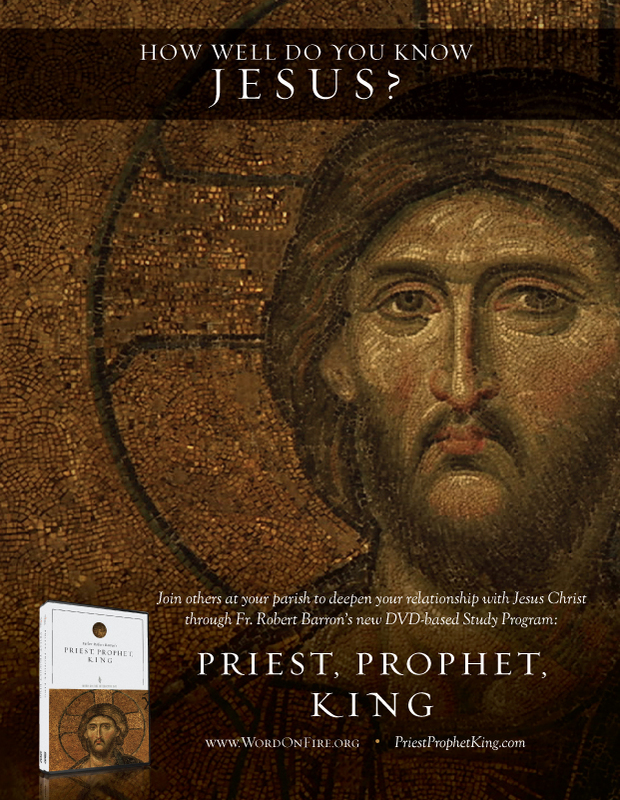 Paired with the film presentation of Priest, Prophet, King, you can use this study guide to better understand Jesus, become more familiar with Scripture, and realize your own priestly, prophetic, and kingly mission. 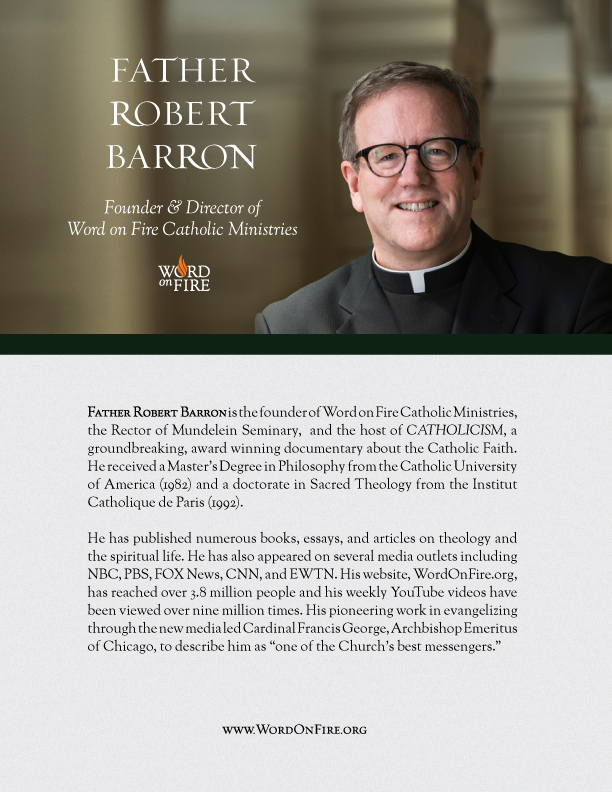 You can watch the DVD and then probe more deeply into Bishop Barron’s message by using the companion Study Guide, which is divided into sections that correspond to each part of Father's presentation. 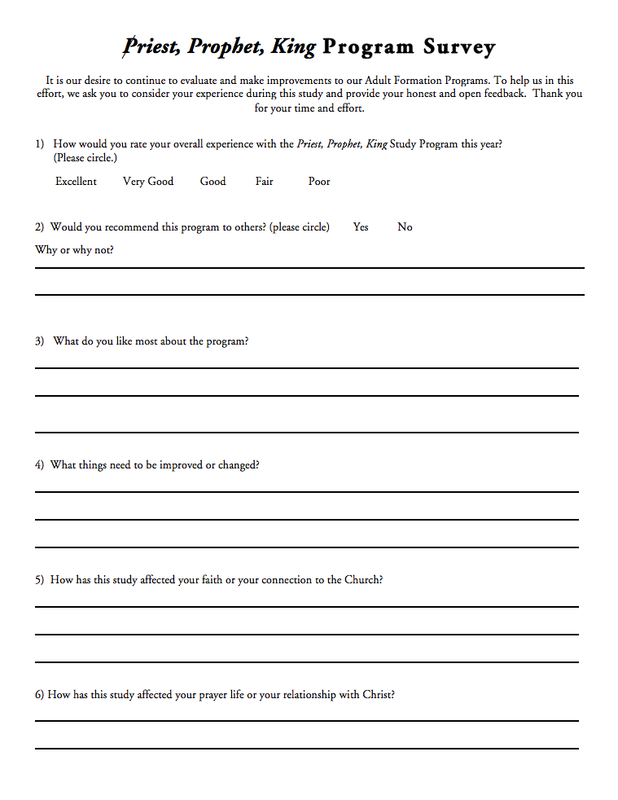 The Study Guide was written by Catholic writer and apologist, Carl Olson, under the direction and approval of Bishop Barron. 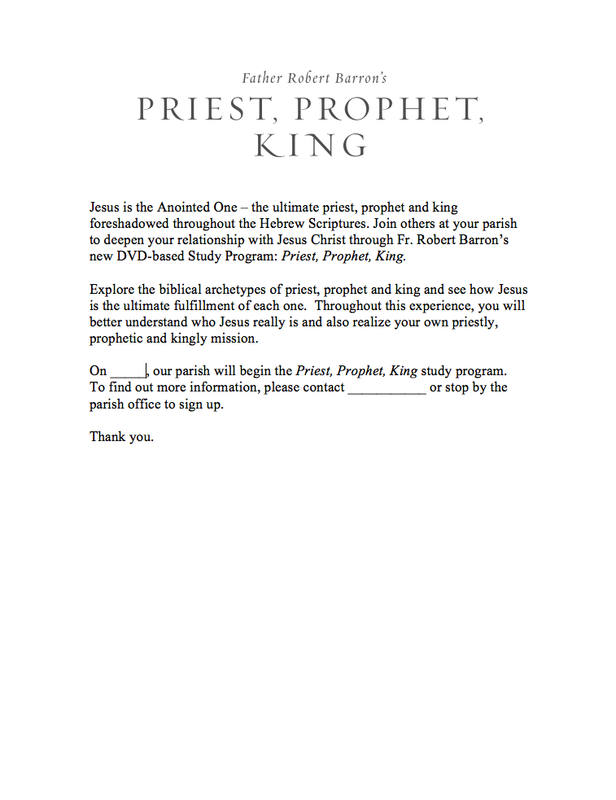 Each section provides a detailed commentary on the DVD. 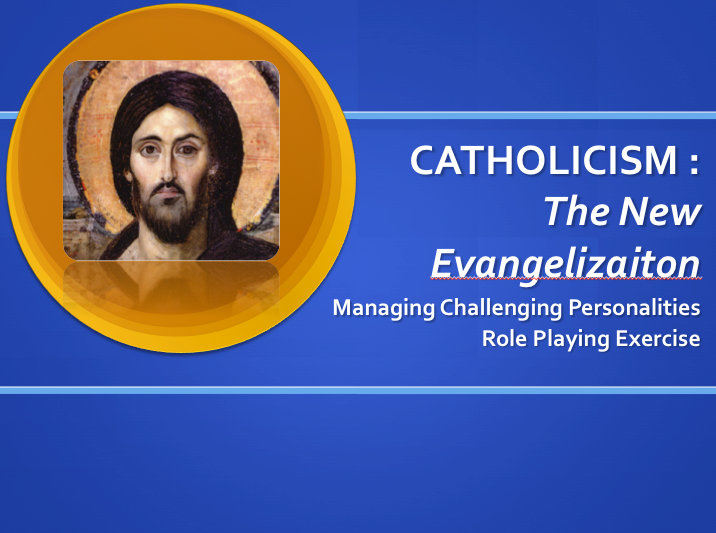 Plus there are “Questions for Understanding" based on the DVD presentation and references from Scripture and the Catechism of the Catholic Church, and “Questions for Reflection" that help you reflect on how the material is relevant to your own life and experience. 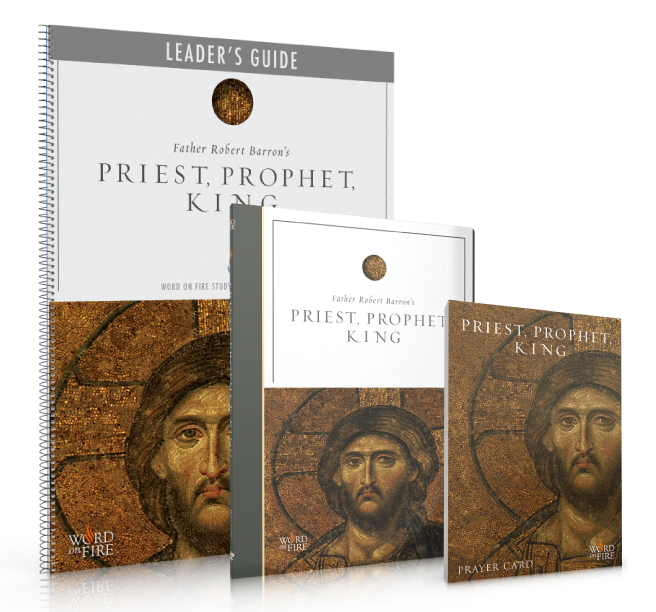 The Leader’s Kit provides essential resources for group discussion leaders, including the DVD, lessons, facilitator guide, answer key and prayer cards. 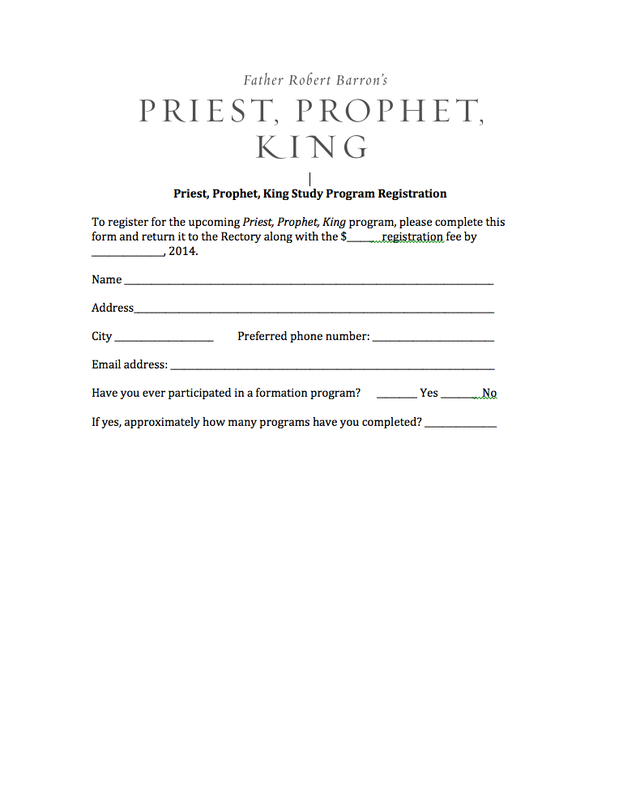 In addition, leaders can access free, downloadable promotional materials and other tools using the “Support Materials” tab above.